Purchases are processed directly from my website and are supported by PayPal. Visa, MasterCard, American Express or Debit Card are all accepted methods of payment. All prints are created using a 3:2 aspect ratio to prevent loss of the image from cropping. Watermarks will be removed before sending your selected image to production. Products purchased on this site will be directly shipped to you once your order has been processed. Production times may vary depending upon which medium you have selected. Shipping costs included are for residents of Canada and the United States. If you require shipping outside of Canada and the United States please contact me directly for a quote. If you do not see the print size or medium you are interested in purchasing, please feel free to contact me for a quote regarding other product options/print sizes available. Poster prints are printed on super-smooth and perfectly weighted 250gsm photo paper imported from Germany made by Felix Schoeller. This superior paper, combined with the use of vibrantz HP inks, it is guaranteed that your print won’t fade for 200 years. Metal prints are lightweight and extremely rigid. This is achieved by sandwiching polystyrene between two brushed aluminum sheets. UV stable inks are highly fade resistant which allow these prints to be hung both indoors and outdoors. 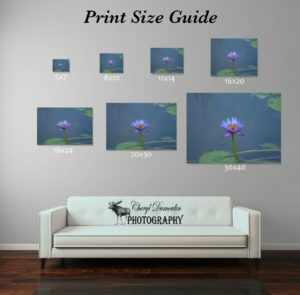 Metal prints offer a svelte satin matte finish. If you are looking for a glossy surface then you may be interested in an acrylic print. Canvas prints are protected with a state-of-the-art lamination procedure and Artshield UV protection laminate. The prints are manufactured in Montreal and whitened using an environmentally-safe process. The 420gsm canvas is made from a 60/40 poly/cotton blend and an authentic canvas weave. Experts hand-stretch each canvas to perfection and ensure the corners are perfectly folded and tucked.